Turn electronics on or off — from anywhere. Operates over WiFi and mobile internet, at home and away. touch, iPhone, iPad - iOS 8 or higher and Android 4.1 or higher. Put your electronic devices on a schedule. 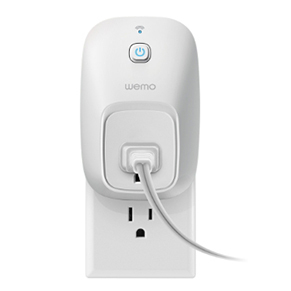 Control your electronic devices right from your phone or tablet with the Wemo Switch Smart Home Plug. 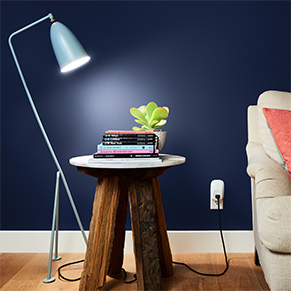 No subscription or hub is required--the Smart Plug simply uses your existing home WiFi network to provide wireless control of lamps, heaters, fans, and more. All you have to do is plug the Wemo Switch Smart Plug into an electrical outlet, plug a device into the Smart Plug, and control your device using the free Wemo app. You can even schedule your lights to turn on at sunset, or randomize your lighting schedule when you're out of town to make it look like you're home. Using the free Wemo app, you can schedule a space heater to warm up your living room on a cold winter morning, or synchronize a lamp with the sunset so you won't have to come home to a dark house. 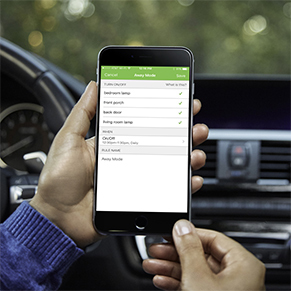 Wemo lets you easily set automatic schedules for any device that's plugged in. Great part for your home automation plans. With the ability to randomize your lights, Wemo protects your home better than a mechanical timer. When set to "Away Mode," the Smart Plug will turn plugged-in lights on and off randomly to make it appear like you're home--even when you're not. 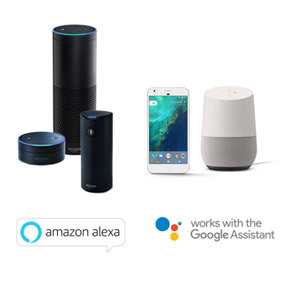 Wemo Switch works seamlessly with Amazon Alexa and Google Assistant to give you hands-free voice control over your devices. Pair the Wemo Switch Smart Plug with Amazon Alexa or Google Assistant built-in devices like Google Home to turn your lights, your appliances, or an entire room on or off with just the power of your voice. 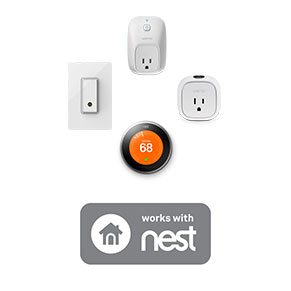 When paired with Nest's Thermostat, Nest's "home" and "away" modes can sync with your Wemo Switch for automatic control. Nest can tell Wemo when you're home or away, so your fan can turn off to save energy when the house is empty. Or your lights can turn on automatically when you walk in the door. "If This, Then That" is a free web-based service that opens up an amazing array of possibilities for your Wemo Switch Smart Plug. 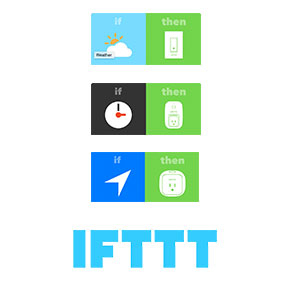 Visit IFTTT.com to find "recipes" for making Wemo Switch turn lights on and off based on real-world events, send you push notifications about device activity, and much more. When a light or appliance is plugged into a Wemo Switch Smart Plug, you can turn it off from your phone no matter where you are. 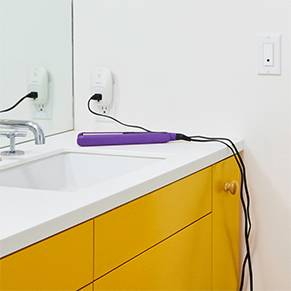 You'll never have to worry that you accidentally left the curling iron or space heater on again.